We have really been enjoying this isolation period. Hard to believe. Sure I miss spending time at my parents house, going to Target, having a Iced Mocha from Starbucks..but my family is healthy. We decided to homeschool our oldest daughter at the recommendation of Briella's doctors. 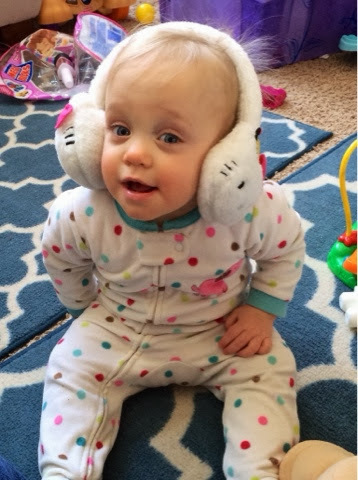 With big sister not in school, Briella's chances of catching RSV or the flu & being re-hospitalized are reduced GREATLY. So it's been interesting getting into the swing of things with school. Luckily, we qualified for a medical at home online virtual school since it was preferred by doctors. So all the lessons are prepared for us and she has a class she has live lessons with twice a week online. We do a whole lot of "Face Timing," multiple times throughout the day. I don't know how we would've survived this time without it! We get to see the Grandparents a lot that way. 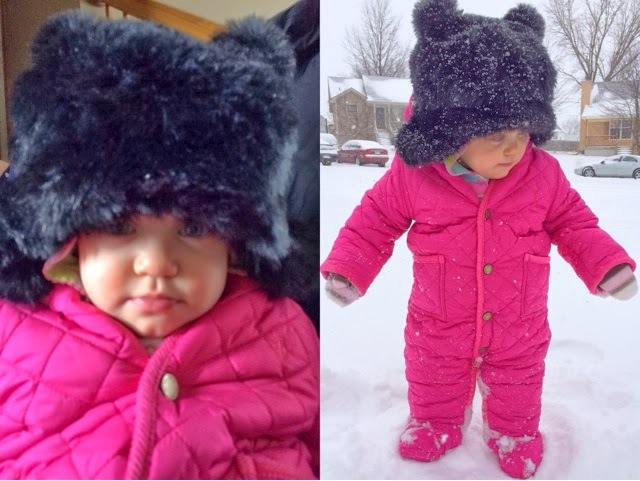 Last week Briella was able to play in the snow for the first time. It was actively snowing while we were outside. Briella was not a fan of the cold flakes hitting her face. She was able to stand and keep her balance in the snow. We can officially say Briella is a walker. 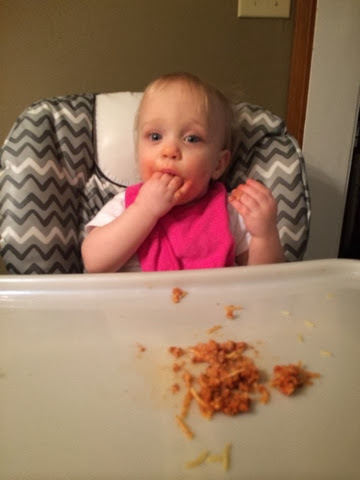 She has been trying for months but as of last week she has been doing it on her own. 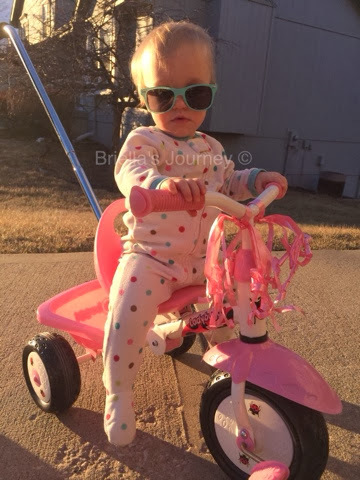 She is 16 months old and 12 months adjusted. Adjusted is how old she should be if she was born on her due date. We couldn't be more proud of our tough girl. 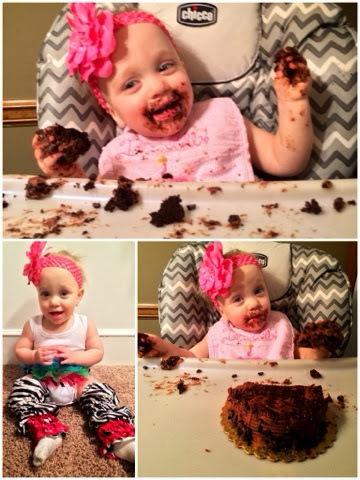 We celebrated Briella's adjusted 1st Birthday by letting her smash another cake :) See pictures below. 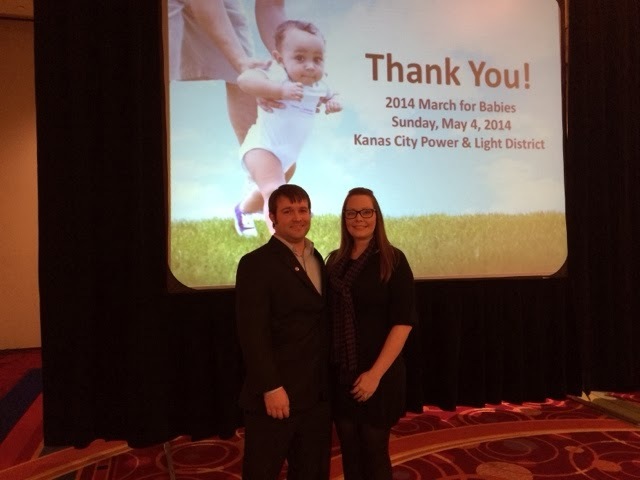 Last Thursday Brian & I had our first speaking engagement for the March of Dimes. It was the Corporate Kickoff. It was a very nice breakfast. 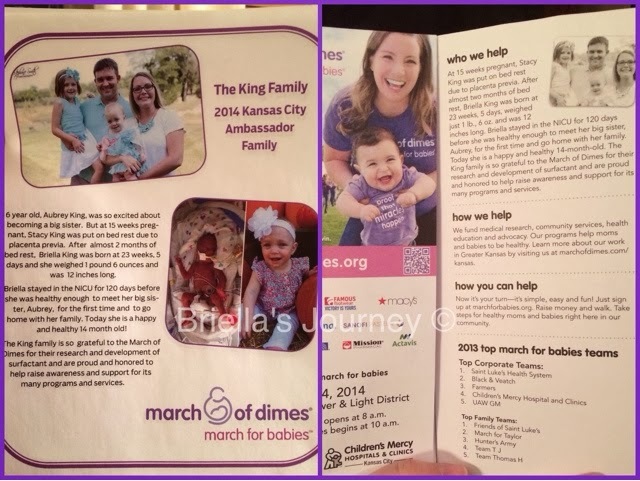 So many amazing corporations attended that have pledged to motivate their employees and raise money to help all babies. And to save tiny babies. 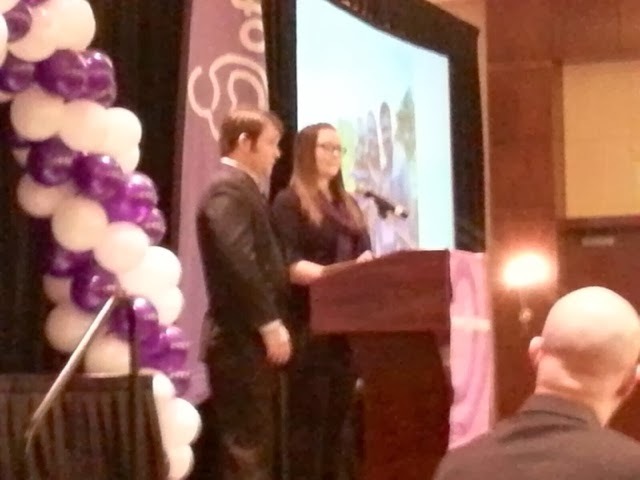 Brian and I took turns speaking about our story and why we have been so blessed by the March of Dimes. We spoke for about 10 minutes, there were ladies in the crowd balling. I had to look out above the crowd because when I saw the looks of sympathy and disbelief on peoples faces I started to get emotional. I held it together pretty well. Brian, who doesn't speak of the time leading up to Briella's birth because it was hard on him, got a little choked up several times when explaining what happened that day. I am so proud of my husband. I'm proud that he is willing to speak in front of anyone, begging them to help other babies as we were helped. I'm proud of him for being a strong & unbelievably caring father, who loves both his daughters unconditionally. I am so lucky to have found a man who has the traits that my father portrays. I am one lucky lady. We are also looking for virtual walkers who would love to join our team and raise money online, even if you cannot attend or are out of state. My hope is to have a huge group of our friends, family & even strangers all coming together for babies, and a group photo to hang in Briella's room. I really hope you will register for free to come spend the morning with us!